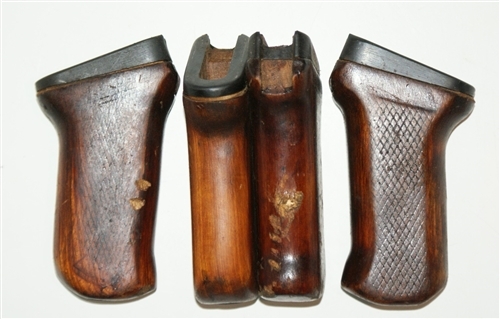 Original Russian Type 2 AK47 pistol grips. Made out of wood (not laminate). Although take-offs, these grips retein their original color, carvings and in overall great condition for 60 year old grips. Some chips, nicks, and scratches are to be expected. The picture is a representation of the grips which are available. No hand select on this item.